IRS Audit Defense Attorneys – Helping Individuals throughout Michigan and Beyond! Our Tax Resolution Attorneys are experienced in all matters involving tax resolution, tax dispute, and general concerns relating to IRS tax and debt relief. Our lawyers are extremely knowledgeable in the local, state, and federal tax code, and can help you today! 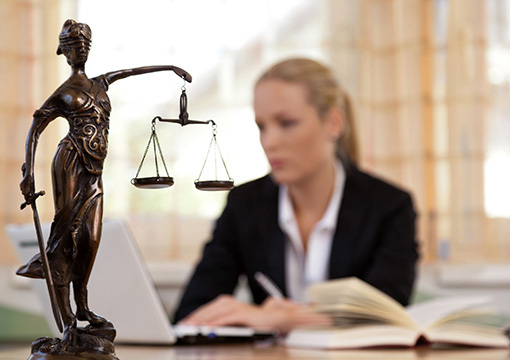 Our legal experts work with clients throughout Michigan, Oakland County, Wayne County and Beyond. If you have an IRS tax dispute please contact us immediately. Let’s get started rebuilding your financial security. IRS Audit Defense cases are initiated to review, investigate, or verify items on an IRS or state tax form. An income tax audit may be initiated by the IRS (Internal Revenue Service) or by a State income tax agency. Communication: emails, phone calls, and written documents, may be used as part of an IRS Audit Defense. For example, when filing state or federal income taxes via a certified tax service, i.e., H& R Block, options are available to pay for a tax audit defense policy in case the tax filer is randomly chosen for an IRS or state tax audit. Paying for this type of policy, allows for legal representation during an IRS or state tax audit. What happens if a tax filer is audited? The IRS may initiate an audit within three years previous of the tax filing year selected for the audit. The IRS can even audit tax returns after it has issued a tax refund to the taxpayer. There are three types of IRS audits: mail, office, or field. An IRS notice may be sent via certified mail or by regular postal mail. The IRS does not call or send emails. When it comes to tax filing, honesty really is the best policy to use. On an annual basis, most tax filers safely file taxes without ever being audited by the IRS or a state tax agency. Random tax audits due occur, however, most audits may happen because the IRS or the state caught something on the tax form that appears suspicious and requires investigation. Tax audit length may vary with most audits completed between 28 to 36 months from the date of the filed tax return. The best plan of action is not to panic and to “have a plan of action in place.” A tax filer may choose self-representation during an audit or they may choose to hire legal representation. Do not offer information, provide only what is asked during the audit, and have all legal records available for use. The best option: Hire a tax attorney or CPA to provide legal representation throughout the entire audit process.